Our unique cottages are located two miles east of International Falls in the small village of Ranier where a historical cantilevered bridge is the meeting place of Rainy River and Rainy Lake - truly the gateway to Voyageurs National Park. Choose a vintage cottage located in the quaint village of Ranier, Minnesota, two miles east of International Falls and uniquely bordered by Rainy Lake and Rainy River. 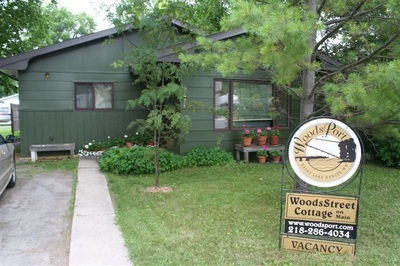 The cottages are within a short walk to the best lake access and public beaches in the area. We have four cabins available for short term and long term rental. All cabins include Free Wi-Fi, A/C, and TV. 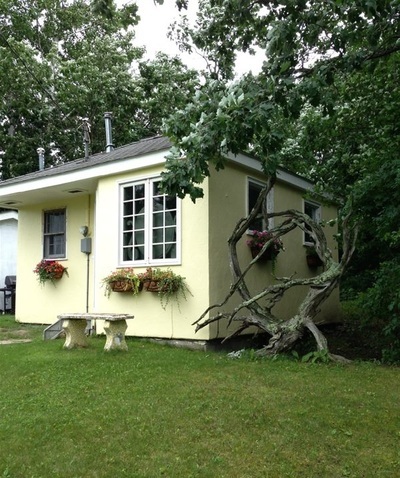 Our affordably priced cottages have a historical and traditional Rainy Lake feel. 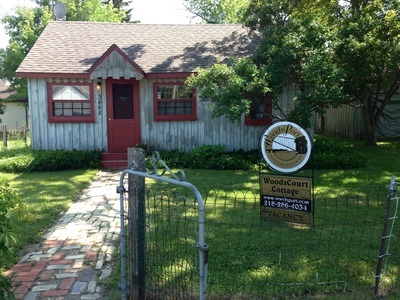 Enjoy the comfort of your clean, cozy, charming cottage to relax, enjoy cocktail hour and have dinner. The Ranier village was incorporated in 1908 and has been a special hidden nugget since that time. We are also on the border to Canada, which is a stone's throw away. The cottages are nestled throughout the 98 acres of "Old Original Ranier". When you move into one of the cottages, you become a "resident" of our village. 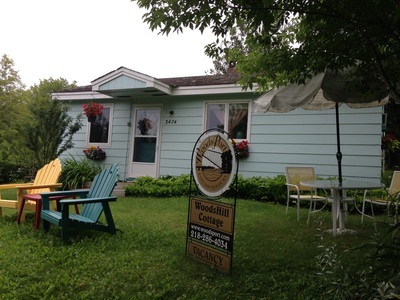 The cottages are a great way to launch an exploration of our northern Minnesota area. During the day, you can experience your "Self-Guided Fun!" In the evening, relax, enjoy cocktail hour and prepare your dinner at the cottage (or visit our area restaurants and bars). Finish your day with a beautiful Ranier Rainy Lake Sunset!